Xavier Montsalvatge was one of the most important spanish composers of the twentieth century. He studied in Barcelona with Morera and Pahissa from whom he inherited a great compositional technique and the taste for eclecticism. Montsalvatge has a very extensive catalogue that touches practically every type of music: opera, symphonic music, concerted music, vocal, instrumental, chamber and music for films. One of his preferences was always vocal music: in the mid 1940’s he opened a new way within Spanish music called antillanismo, a bringing together of the music of Spain and Cuba. His great success within this genre was “Cinco canciones negras” (1946) that the composer wrote to satisfy a commission by the Catalan soprano Mercé Plantada. Already Albeniz had written a piano work, “Tango”, inspired by Cuba, and Manuel de Falla in his “Cubana” pays homage to the island. Montsalvatge continued this tradition begun by his two illustrious predecessors and after the success of “Cinco canciones negras” continued to reflect it in other works, for example “Habaneras de la Costa Brava” from the same period. ...to write down the melodies and the lyrics of what I wanted to select was very hard for me and put to test all my experience. At that time the magnetophone didn’t exist (or had not reached us yet) and we had to write it down by dictation from each of the interpretations”. The result of these transcriptions is a sensual music, with Caribbean echoes and a soft melancholy. Montsalvatge knew how to save these songs as when he took note of them they were almost forgotten and were only remembered by the fishermen like those from a small village called Calella de Palafrugell, precisely where Montsalvatge discovered them. Also of the 1960s is the work “Paisatge del Montseny” that Montsalvatge wrote by commission for a summer homage dedicated to the poet and priest Pere Ribot. The premiere took place in the open air in a wood situated on the slopes of the Montseny, a mountain featured in myths and tales of Cataluña. His version for soprano was sung by Ana Ricci and the string orchestra conducted by Montsalvatge which tells of his ephemeral adventure as a conductor. “It was the first and last time that I found myself with a conductor’s baton in my hand in front of an instrumental group and a numerous audience that listened sitting down or lying underneath the trees”. Montserrat Caballé was present at the beginning of the idea to write a new cycle of songs in the same style as “Cinco canciones negras”, which had galvanised Montsalvatge in 1964. This time the cycle was made up of six texts by Federico Garcia Lorca, one of the great Spanish poets of the twentieth century. Montsalvatge considered that one of them, “¡El lagarto esta llorando!”, was one of his greatest achievements in the field of song. The recording by Caballé of the complete cycle has been one of the biggest sellers in the world of Spanish song and continues to be a benchmark recording. Montserrat Caballé was also the dedicatee of the work “Oraçao”, a song based on an anonymous Portuguese text and was part of the cycle titled “Canciones de la Natividad latina”, also including “Deshecha de romance que cantaron los seraphines” in old Spanish, with lyrics by Fray Iñigo de Mendoza, and “D’Oracio de Temps” in medieval Catalan, with lyrics from the mystic poet Ramon Llull. 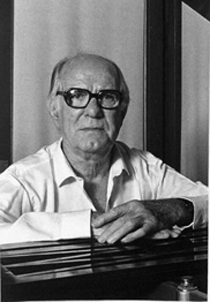 The latter was recorded for orchestra, voice and chamber group, as part of one of his greatest works, “Cinco invocaciones al Crucificado”, also published by Unión Musical. “In the song I included in a collage six notes of “Noches en los jardines de España” escaping from the rest in order to free myself from [regional] accents and Andalusian flavour, the window to a picturesque style that horrifies me”. That horror for the shallow, “picturesque” type of music was motivated by the humanistic and universal vision that Montsalvatge always had as a musician and as a person. In his music one can make an interesting trip through the landscape of Hispanic song, a reflection of the wide and beautiful view of the world he held, as a musician who already stands within the annals of Spanish music.